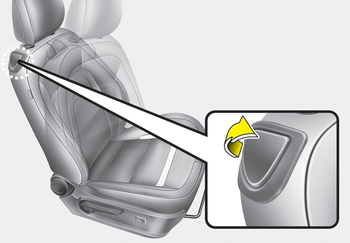 To get in or get out of the rear seat, the driver’s or front passenger’s seat should be folded and the seat should be slide. 1. 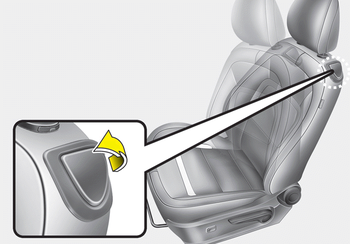 Fold the front seatback by pulling up the walk-in seat lever and then slide the front seat forward. 2. Set the belt extension guide to position (3). 3. 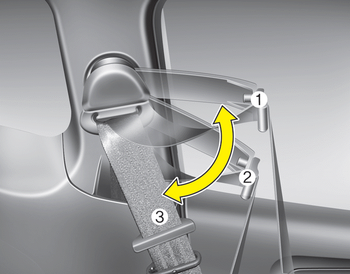 After getting in or getting out, slide the seat rearward while holding the seat cushion and then push the seatback rearward. And set the belt extension guide to position (1) or (2).